Refreshments will be provided. Please note that this is a discussion group rather than a grief support or counselling session. 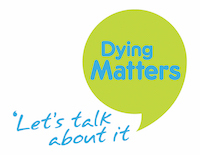 We are also holding Death Cafes on the 12th May at Beat Box, in the Library of Birmingham and on the 13th May at Birmingham Museum and Art Gallery.